Jesus and the Victory of God (Wright). I can hear Tina Turner in the back ground singing, "Simply the Best"
Models for Scripture (Goldingay) . Life changing. The Nature of the Atonement: Four Views today. (G.A. Boyd; Joel Green; B.R. Reichenbach; Thomas Schreiner). Superb debate, and the articles all honoured their respective positions. 1 Corinthians (Thiselton). The best commentary on any of Paul's letters, blending deep exegetical insight and wide reading, with deliberate dialogue with modern systematic theological concerns. Brilliant. The Evangelical Universalist (MacDonald). What a great read. It regularly anticipated my questions and I found it almost convincing. Almost. Paulus (Schnelle). A great book to learn German with. 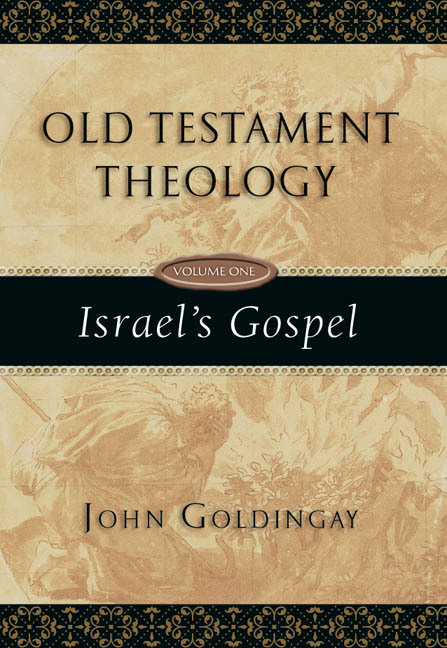 Old Testament Theology vol. 1 (Goldingay). This book astonished me. I have not had so much fun with a book since Wright's at the top. What the Bible Really Teaches (Keith Ward). Romans Commentary (Wright). Sorry, I know it bruises the pride of many other scholars and critics, but this guy really is something else. How to Reassess your Chess (Silman). Well, I liked it! A Short History of Christianity (Tomkins). Very funny in places. The Interpretation of the NT (1861-1986). Inspiring. Re:Mission (Perriman). It totally messed with my head – the sort of book I LOVE. Perspectives Old and New on Paul (Westerholm). What a great summary of various the approaches of various scholars. Inspiration and Incarnation (Enns). Very engaging and honest. A delightful invitation to continue an important conversation. Glauben und Verstehen (Bultmann). Some of the articles (I haven't read them all) were simply superb. The Beginning of All Things (Küng). Helped me settle my mind on numerous issues. The Rhythm of Doctrine (Colwell). A smooth tonic to my soul. The Life, Errors, Bad Theology, and 'Slack Jaw Breathing' Sin-Log Book of Jim West. Volumes 1 to 64 (Tilling). An important denunciation of bibliobloggers 'minimalist'. I don't think most really know what 'minimalist' means. So, for your information, it refers to the size of the 'you know what', hence 'mini-malist'. "Why Can't Chrisendom Just Come Clean And Stop Giving The Bible & Christ A Bad Name? 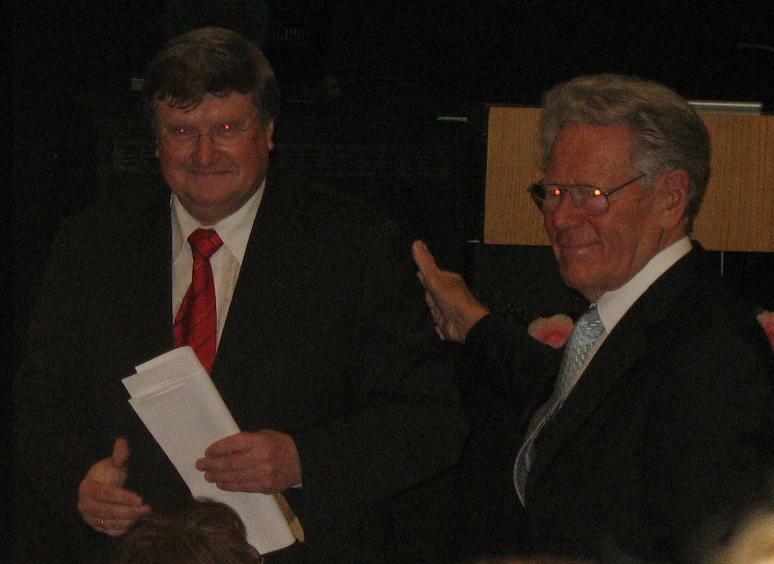 (You Are Actually Bringing Reproach Upon The Almighty Himself Through Your Bad Conduct & Many Sincere Individuals Are Mislead From What The Bible Actually Teaches)"
My good friend, Alex, has kindly drawn attention to an online video of the entire proceedings of Hans Küng's 80th birthday celebrations. Click here to watch, and as I said, I highly recommend Kuschel's brilliant speech (it starts about 48 minutes in). 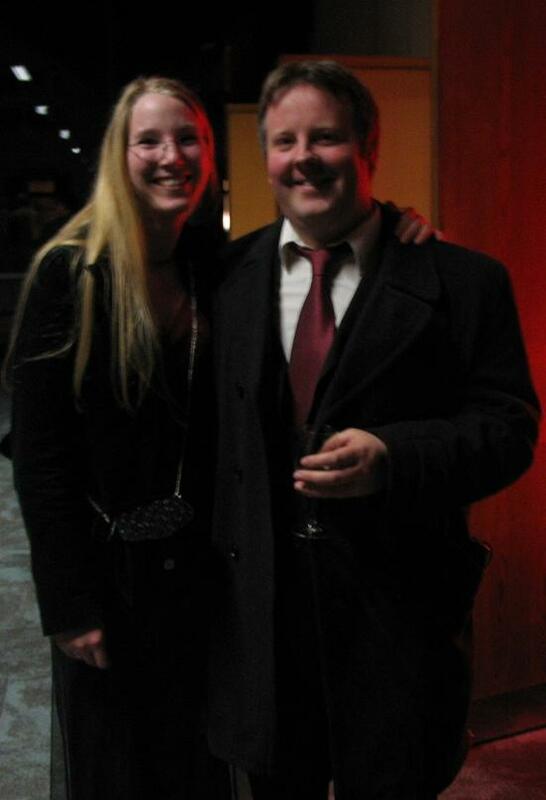 Anja and I had a great time yesterday at Küng's birthday celebrations. Particularly memorable was Karl-Josef Kuschel's speech - it was simply electrifying, his examination of Küng's theology inspiring, and his wit, er, funny. I've uploaded an amusing bit of that speech to Youtube tonight, where he speaks about some of the amusing artistic representations of Küng and his relations with the Vatican (see below). I also videoed Küng's entire 'thank you' speech, which I may upload to Youtube if people are interested. But I'm a little reluctant to at the moment as uploading takes flippin ages, and the file is over 200 MB! Something scary happened today: For the first time, and I mean this literally, for the first time in over 5 years of married life, Anja wanted a cup of tea ... and I didn't. The Rapture Index jumps up three points as a result of these shocking events. This in turn means that my Enochian loins are really rather concerned, so I'll make sure to wear my asbestos underpants for the next few weeks. "Swearing is worse than smoking?" Yes, swearing is worse than smoking by approximately 3 centimetres of sin, measured in stable environment of atmospheric pressure 100 kPa (which is not enough to make good espresso, by the way). However, if any angels visit the toilet at the time of sin, then the swearing-to-smoking sin ratio increases exponentially, such that the smoking sin weighs the same as an electron (9.1 × 10–31 kg), while the swearing weighs about the same as satan on a tricycle. If Spring Harvest is a barometer of Evangelical opinion, then Evangelicalism, in the UK, is changing – in some ways for the better, it seems. Read the whole article here. I cannot really comment further as I've never been to SH. I read a lot, and so I thought I would try to improve my reading speed and comprehension with the help of a book by Peter Kump. I started it today and took a number of reading speed tests. I came out at between 370-560 words per minute (w.p.m), though the upper limit was really as fast as I could go without the comprehension suffering. This puts me firmly in the above average category (which is about 210-20 w.p.m), but way below those who claim to read at thousands of w.p.m. I'd be interested to hear from anyone who has experience of speed reading books or classes, and whether they helped at all. To be honest, I'm not too convinced that many deliver on their promises, especially the crazy claims for reading speeds of 2,000 w.p.m and such like, which I tend to think is more 'sell bunk' than reality. I'd also be interested to hear about reading habits that any of you have found helpful. You may not have heard these statements before, but 'only an evolutionist can be saved'; 'only an evolutionist can speak in tongues', 'evolutionists are God's special agents', 'evolutionists are generally holier and better people than creationists', 'Calvin predestined me to be an evolutionist' etc. You know they are all true. As we've been discussing evolution again in the comments on an earlier post, here is my own little story of how I moved from poor, unhappy and lonely creationist to revived happy, popular, wealthy, victorious and blessed evolutionist. I actually became a Christian listening to a tape by Ken Ham (who, in retrospect, looks suspiciously like the missing link to me), and consequently 'creationism' was a very important topic for me, for years. Evolutionists were for me either atheistic naturalists or, if claiming faith, compromised to the core. However, a number of factors came together that have since caused a change in my view. First, my doctrine of scripture changed such that I did not need to affirm a literal reading of Genesis 1 and 2 to still believe it was text inspired by God, a step precipitated by reading Goldingay's Models for Scripture. I believe that my doctrine of scripture became, in this phase, more scriptural, and I appreciated the differences in genre in scripture. A text could say something true without me having to read it literally (cf. Jesus' parables). At this point I could accept Christians who promoted an evolutionary view, though I had too long swallowed the teachings of 6-day creationism to suddenly become convinced by Darwin and his followers. Second, while creationists were still perpetuating quasi-intellectual claims about dinosaurs living with humans and such like, I started to find myself convinced by the science of evolution, by how the theory could explain such diverse material from biogeography, palaeontology, embryology, morphology and genetics (for the last I refer to Sean B. Carroll's brilliant book, The Making of the Fittest: DNA and the Ultimate Forensic Record of Evolution). Third, it became clear to me how the ancient world of creation myths had shaped the biblical material. Biblical cosmology operated, as did the other myths, with a flat earth, and the differences between the biblical accounts of creation and flood were of the same milieu as other Akkadian literature, such as the Enuma Elish, and the Atrahasis and Gilgamesh flood stories. I then started to see what the biblical text was trying to do in its context; I could hear the text again, unclouded by concerns with proving its supposed scientific worth, something I found very exciting. It was making subtle and creative theological points about God, humanity and the world that implicitly critiqued these other myths, and their idolatry (e.g. God just speaks and creates, other gods had to e.g. kill each other to form the landmass with a god's dead body). As Enns writes, 'To put it this way is not to concede ground to liberalism or unbelief, but to understand the simple fact that the stories in Genesis had a context within which they were first understood. And that context was not a modern scientific one but an ancient mythic one' (Inspiration and Incarnation, 55). I remembered that no one was there when God created, and the text does not present itself as 'prophecy'. Rather, it adopted and critiqued the myths of its ancient worldview. Had God inspired a text that told ancient Israel what happened at a scientific level, they would not have understood anyway. God was speaking in and through an ancient worldview. 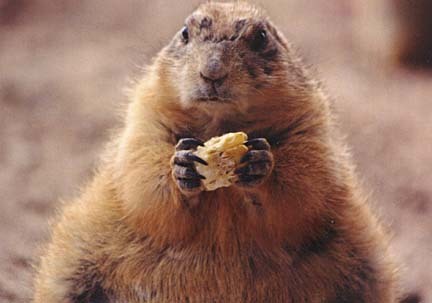 As I wrote on this blog before: Yes, I believe evolutionary theory is correct. Yes, I believe in God the creator of heaven and earth. Yes, I believe Darwin, despite errors, was basically correct. Yes, I believe that Genesis 1 and 2 is the inspired Word of God. Yes, I believe humans evolved from lower life forms. Yes, I believe we are made in the image of God. My thanks to the kind folk at IVP for a review copy of McDermott's book, God's Rivals. It is my pleasure to introduce Kathrin, the guest reviewer today. She is a German theology student and we met at the Tübingen English-German colloquium run by the Institute for Early Christianity. A review by Kathrin Wanner, Student of Theology, Eberhard-Karls-Universität Tübingen, Germany. "Why are there other religions at all?" This is the basic question of McDermott's book God's Rivals, and it is present on every page. After a careful and exact analysis of different historical items connected to this question, the answer can be summarized in one sentence: "Because god is a big god, he can use pagan thinking to influence biblical authors in such a way that the final results in the biblical text is still exactly what he wants." His concern is to ask the biblical authors themselves about their view, using many original texts and quoting the bible regularly. The first part of the book refers to the question of "particularity" or, in other words, "Why has the true god come to only some people at some times?" The author shows how people have dealt with this question in the past and how it is answered today. His next concern is to show how the Old and New Testament deal with other religions. He argues that not only people in Israel and the church knew a lot about God. A whole chapter researches what kind of heavenly beings the Old Testament knows and how they are easily referenced to as "other gods." 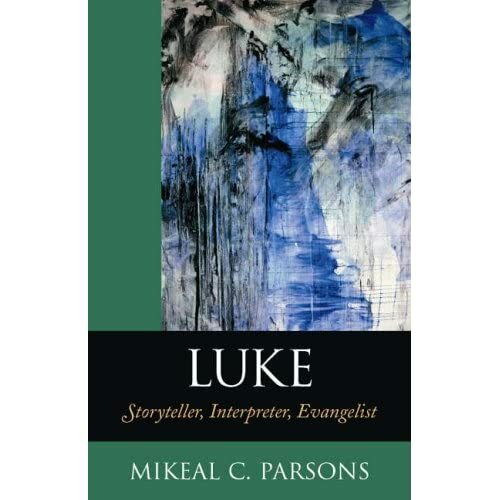 In a further step, the author introduces different people who give evidence of how the world thought and lived during the development of the New Testament. McDermott starts with Paul and shows that he believed in the existence of spiritual powers. He moves on to Justin Martyr and therefore to a philosopher's view on the Christian religion. With Irenaeus the author explains "how god uses the religions" and that revelation happens in different stages, having its "final culmination in Christ"; his conclusion that "God used many different teaching methods over thousands of years to communicate the truth" seemed to me a highlight of the chapter. The words of Clement of Alexandria show that people and differences in religion are caused by the fact that God "called all equally" but at the same time "his gifts were distributed unequally". He divides people in different groups depending on their strength of belief with different relationships to the Lord and different ways of being taught by him, concluding that a "Mixture of truth and error is there by divine design." Still there is only one "cause of all": God. Finally, the author introduces the reader to Origen who reminds people that other religions are dangerous and at the same time useful to support the way of life of people who do not believe yet. 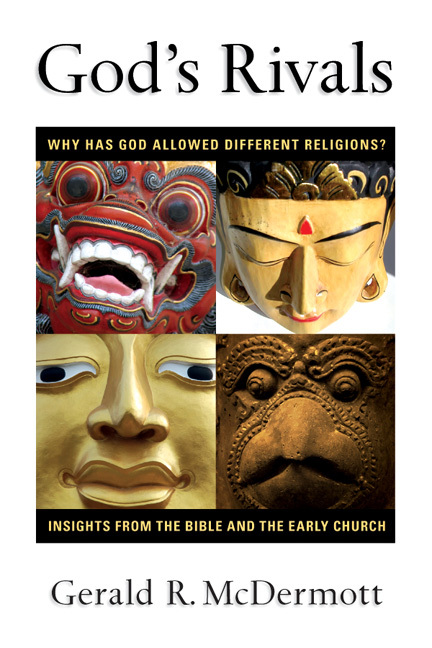 Finally, the author summarizes the basic points of each chapter once more and draws a conclusion to the question: "Why did God permit other Religions?" based on the research made before. One of the first things to be discovered is the strong belief of the author, something that can be sensed on every page; he happens to be an orthodox Christian and the large number of examples from the bible used leads to the impression that the "holy book" kept him company all the time while writing God's Rivals. Every chapter starts with a short summarizing view on the chapter's topic or main protagonist; afterward, step by step, he describes the most important things to know, starting with an interesting example or invented dialogue that easily catches the reader's attention and offers him exciting access to the topic. Summarising headlines emphasise the most important ideas. He then introduces the chapter's main person, by drawing a picture of the historical setting, the person's life and his spiritual background. After this preparation he shows the person's view on the main question of the book: "Why are there other religions?" integrated in the knowledge of his time. Finally, he summarizes the chapter's basic content and offers a preview on the next chapter. The author keeps including possible questions a reader might have. He makes an effort to explain happenings in the past with examples from today to illustrate issues for the reader with well known pictures. God's Rivals is easy to read and understand, even for non-native speakers (like myself), without rows of technical terms, but still offers a solid basis of basic knowledge. I learnt a lot about the different historical characters who have dealt with this question and feel that my knowledge about this topic has really grown a lot. To flee from a burning plane and parachute, covered in nothing but strawberry preserve, into a big field full of killer ants. Inspired by Nijay Gupta's post here, I thought I'd search through iTunes to see what academic lectures I could find. Here are my results. Here are the Carmichael-Walling Lectures in NT and Early Christianity, with audios from Wayne Meeks, Margaret Mitchell and Abraham Malherbe. From Duke Divinity school you have lectures by Gary Habermas and Joel Marcus on the resurrection, Richard Hays and Bart Ehrman on the Da Vinci nonsense. Dale Allison speaks about the historical Jesus and the theological Jesus in the Kenneth Clark lectures here. From Fuller Theological Seminary you have lectures from Marianne Meye Thompson, Robert Morgan here, here and here. Yale has a lecture by Gustavo Gutiérrez, here. If you know of any others, do let me know in the comments. Check out the comments for more great links. 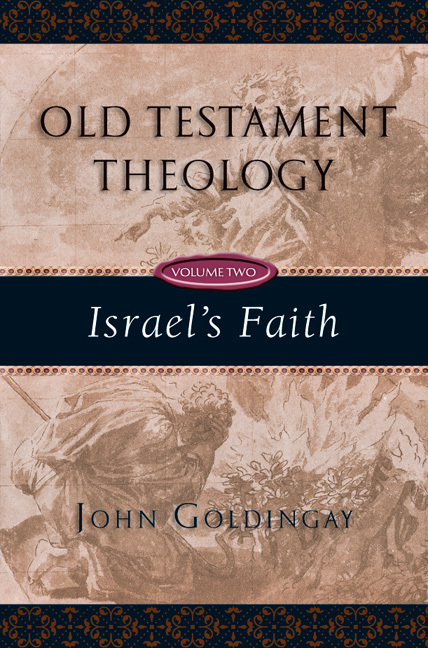 My special thanks to the kind folk at IVP for review copies of both volumes 1 and 2 of John Goldingay's new Old Testament Theology. I'll be featuring both of these exciting books on the blog in the next week or two. I'm really enjoying them. I was already a Christian when I first came across a Billy Graham pamphlet at the age of 18. It didn't convert me—I was already a believer—but this version of the Gospel revolutionised the way I thought and did Christianity. The idea that it was for my sin that Jesus had died, that he was a bridge over a chasm separating me from God, that only through faith alone could I be saved—this new paradigm gave a coherency to my otherwise more intuitive spiritual life and integrated a host of theological themes that had otherwise baffled me. Before the pamphlet I had been a committed Christian, open about my faith and trying to let it shape my life. After the pamphlet, I had a new vision and focus, which transformed the way I did this. Things haven't stayed still, and I'm learning that the Gospel is much more than Jesus paying for my sin. I've always known intuitively that God is about life, about transformation, about joy. I saw it in the Brethren community which gave me the pamphlet, but I didn't have the vocabulary to articulate it. In my yearning to take stock and figure out what is going on, I feel Neil Livingstone's book was written just for me! 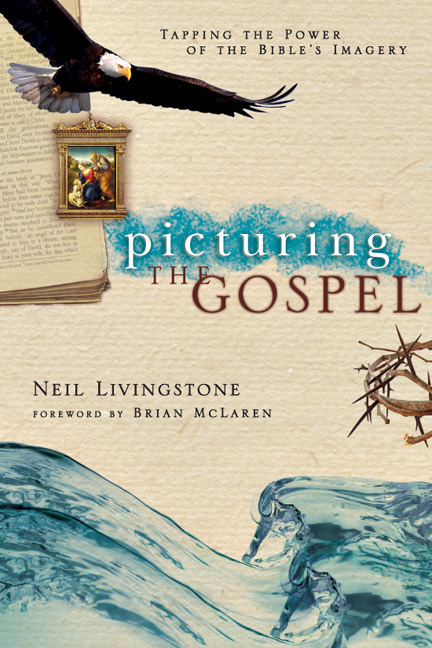 Picturing the Gospel—the title says it all. Livingstone's aim is to open up the true nature of the Gospel to us so that it can change the way we do Christianity. Yet his vision of the Gospel is 3-dimensional and only an aesthetic journey into the intersection of heaven and earth can help us begin to grasp its contours. How could it be otherwise if, as he says, the Gospel "is a story of life and how life ought to be" (118)? "The Gospel is not a subject to be studied or debated; it is a call to be given, a new life to offer" (161). Life, then, is the context within which our journey with Livingstone into the Gospel takes place. The journey consists of three stages, each focussing on different aspect of the Gospel message. These stages are then illustrated using images from the Bible and everyday life. Stage 1 concerns New Life, which is the goal of the Gospel. Livingstone intimates what true life really is, what it is that we are all truly yearning for. This is good news for those who feel the claws of death suffocating their ability to live. He illustrates the relational nature of this new life using the metaphor of adoption. This is good news for the unloved. Finally, he closes with kingdom imagery, communicating God's good news to those sick of the way the world is run. These images have a "demanding beauty" in that, by implication, they point out what is wrong with us. Having been shown what we are saved for, stage 2, Images of Mercy and Restoration, focuses on what we are saved from. Feeling guilty? Read about justification. Or do you rather feel that you owe something? Then read about forgiveness. Or if you've managed to work up a sense of shame in our shame-less culture, read about atonement. There's good news for everyone! The good news of the Gospel doesn't stop at our personal lives. It is also good news for the world, and for those who care about it. The final stage, Images of Deliverance, expands the horizon to include the broader forces of evil in the world which God's good news repudiates. The chapter on salvation deals with evil in general, whether we are its cause or its victim. Images of ransom and redemption show us the price that we are worth and that God paid to save us. And finally, to form an inclusio with the opening chapter on "life," Livingstone talks of the joy of the "freedom" to live God's life, which is our true life. Picturing the Gospel does just that, but it barely scratches the surface. Livingstone hints at further visual possibilities: new creation, reconciliation, healing and sanctification, to name a few. For me at least, he has provided enough material to work on for a lifetime. Though the book is clearly and eloquently, even poetically, written, I often had the feeling of standing on the edge of something too big to grasp, something that will require study, meditation and application to fully grasp. It is helpful, therefore, that Livingstone provides us with a series of exercises at the end in order to help us let these images "sink in" and ultimately transform us. It is here that it becomes clear that the Gospel is not only something for those outside the fold, it is an ongoing call and challenge to those who have already responded to truly appropriate what has been offered to us. This is a book for both believers and unbelievers alike. Inspired by T. Michael W. Halcomb, who asks, 'What do you think the best way & worst way to die would be? ', I present you with my new slot, to go with 'quote of the day', 'thought of the day' etc. I dunno if that convinces me, to be honest, but a difference there certainly is.